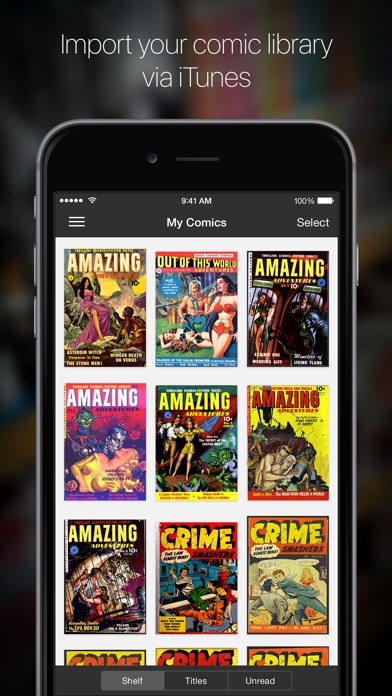 iComics® is a Universal app designed for iPad, iPhone and iPod touch that allows you to read DRM-free comics from your own collection, quickly and smoothly! 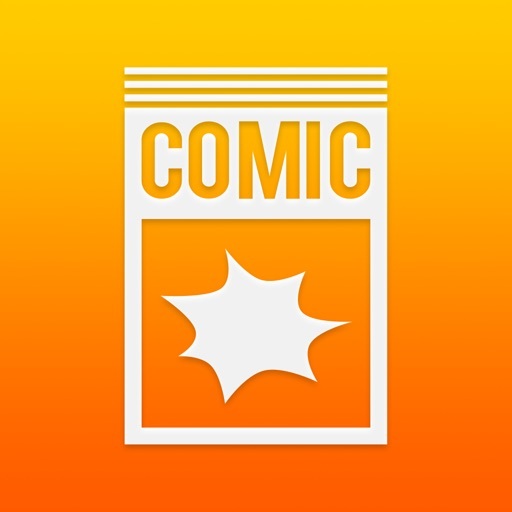 Supporting all of the major comic formats, iComics makes it extremely easy to import comic files onto your iOS device and start reading them straight away! 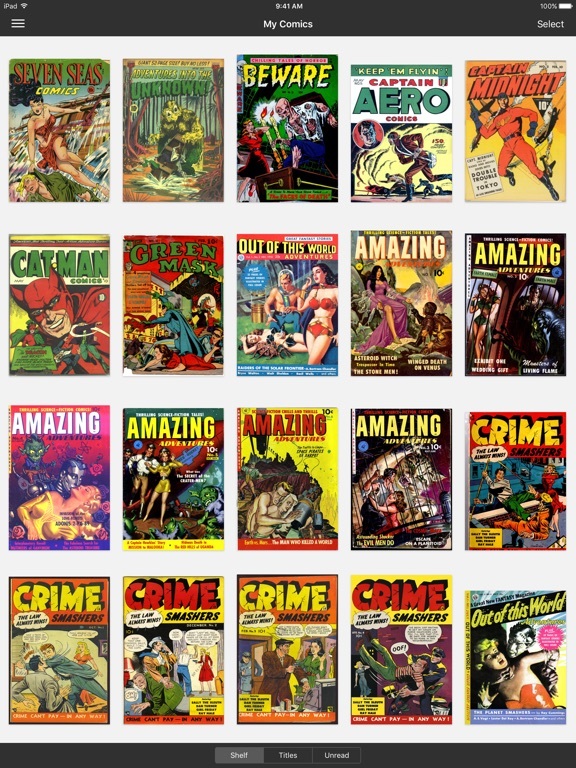 * Supports all of the major comic formats (ZIP, CBZ, RAR, CBR, 7ZIP, CB7, TAR, CBT, LZH, LHA, EPUB, PDF). 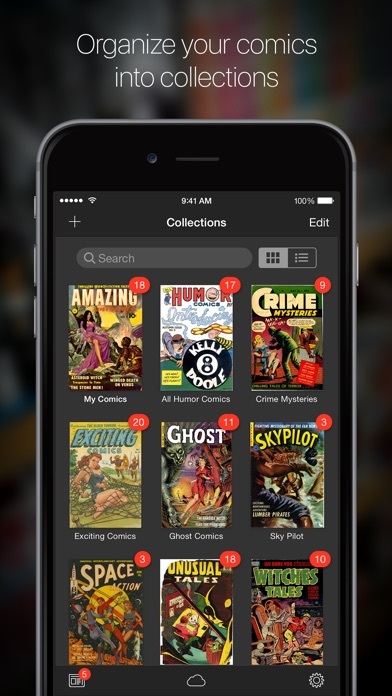 * Collections for organizing sets of comics. * Hot jumping directly from one comic to the next. * Super smooth scrolling when turning pages. 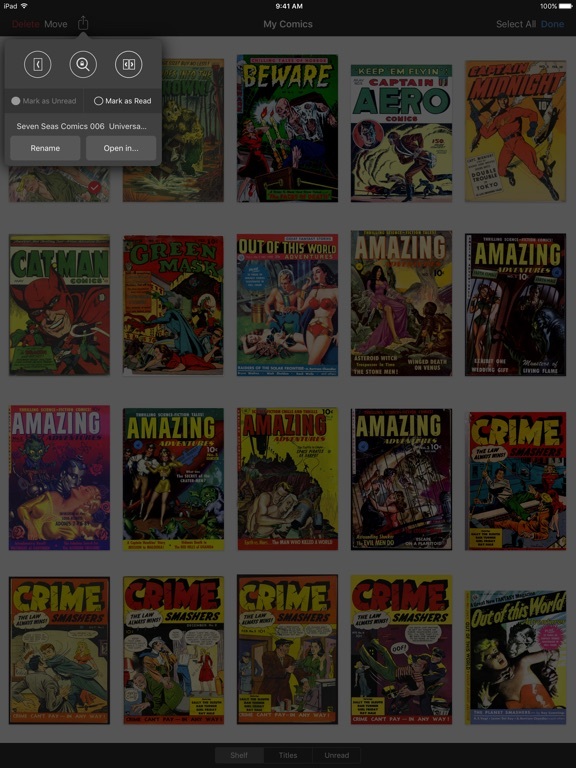 * Comics can be imported from your PC via iTunes, or from other apps on your iOS device (Such as Dropbox, or Safari). 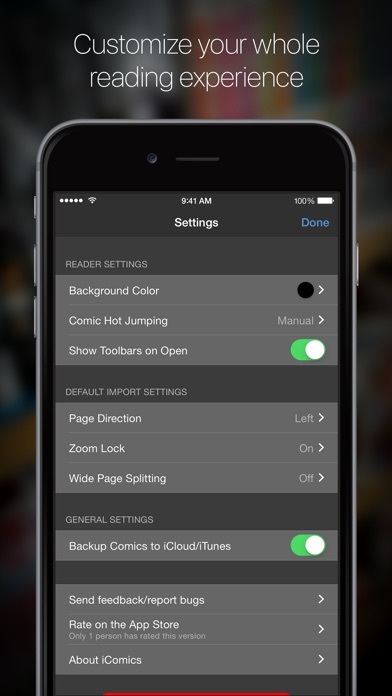 * A slider that lets you jump between comic pages quickly. * Page zooming can be set to reset every time a page is turned, or locked to the same scale across all pages. * Extra wide comic pages can be split up and treated as two separate pages. * Many sharing settings including being able to email, print or locally save individual pages! 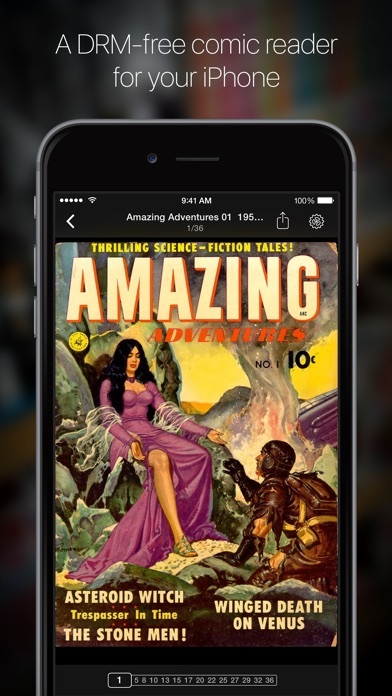 * Integrated Dropbox, WiFi and web browsing for importing comics. 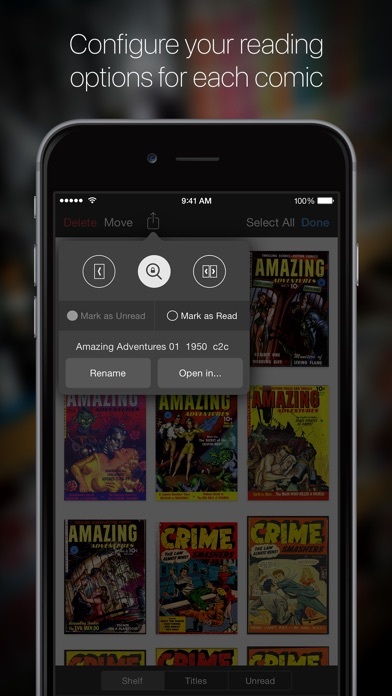 * Integrated comic metadata editing. * The ability to extract nested archives. 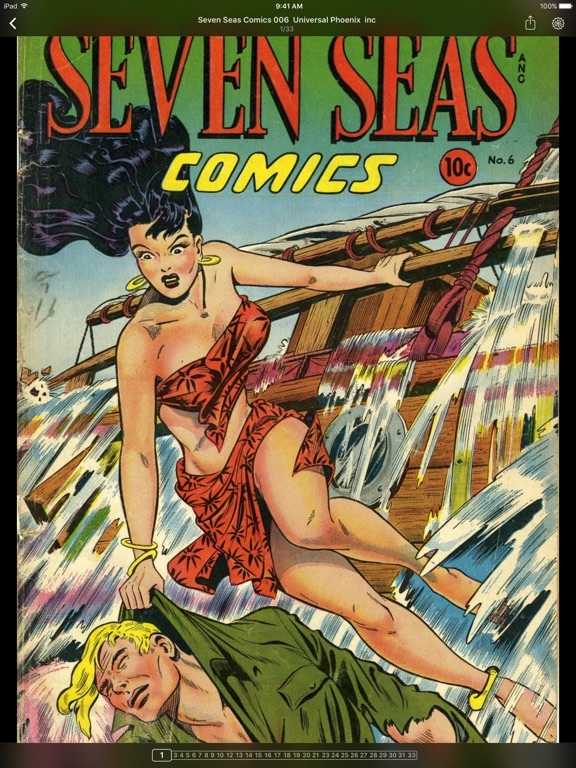 * Being able to crop/format comic covers. Follow 'iComicsApp' on Twitter, Instagram or Facebook for updates! - Support for the all new iPhone XS Max, iPhone XR and iPad Pro! - General compatibility fixes and improvements for iOS 12. 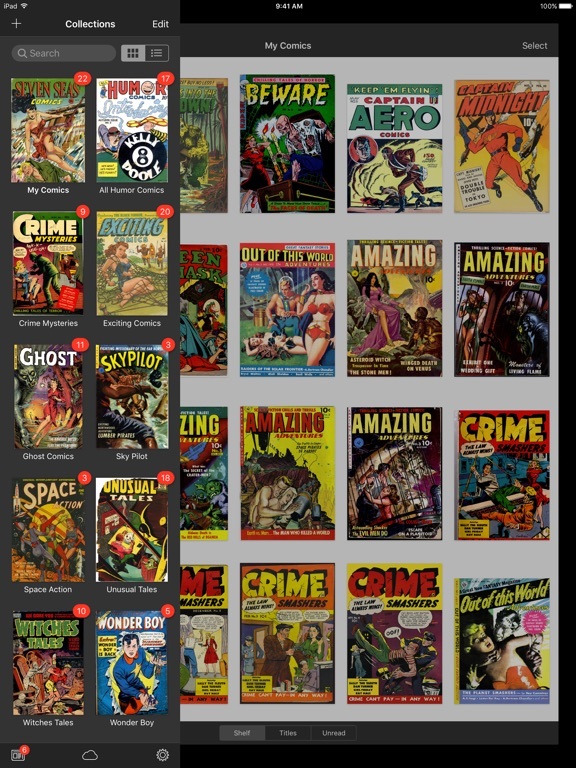 - Added the ability to sort comic collections by title. 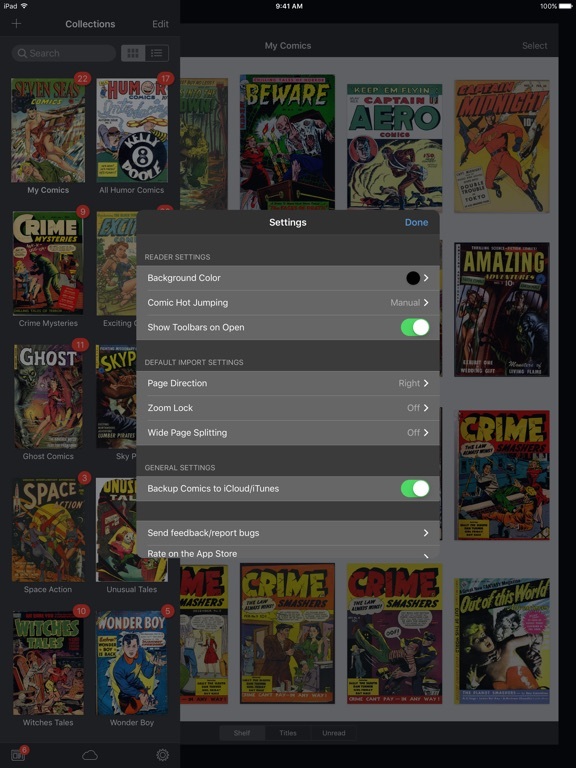 - Added the ability to turn comic pages with Apple Pencil (2nd Generation).